As an experienced real estate agent in Sydney’s Lower North Shore I like to keep abreast of property performance in all areas and Neutral Bay sits on top of Sydney Harbour and with ferry access to the city as well as a short drive to the industrial area of Artarmon/St Leonards and retail shopping at Chatswood. If you would like to receive instant access to up-to-date property market performance and statistics enter your details below and then check your email. I also keep a regular blog and have created a series of educational videos about all aspects of property transactions. The Lower North Shore suburb of Neutral Bay has birthed many of Australia’s greatest creative outputs. Beginning in the early twentieth century, when the area became known as an alternative society suburb for people of the art world, Neutral Bay became the birthplace of Snugglepot and Cuddlepie, the series of books written by author May Gibbs, as well as one of the most predominant trends in architecture – the reinterpretation of the Californian Bungalow to suit the Australian landscape and lifestyle, which was pioneered by the prolific local architect Bertrand James Waterhouse. Today, in addition to Neutral Bay’s gorgeous homes, the area also enjoys a thriving commercial strip on Military Road, which includes the Big Bear Shopping Centre, as well as a great nightlife; with a number of small wine bars, restaurants and eateries situated along Grosvenor Street, while the corners of Ben Boyd and Military roads are the site of the iconic Oaks Hotel. 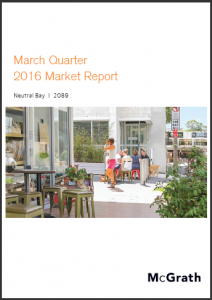 Neutral Bay is located fewer than two kilometres to the Sydney CBD, has great access to city transport, a number of high-quality schools, parks and recreation spots. If you have some real estate in Neutral Bay and are looking for a sales agent to help you sell your property, then please make contact to speak with us or watch our education videos where we share some tips for property sellers and buyers.